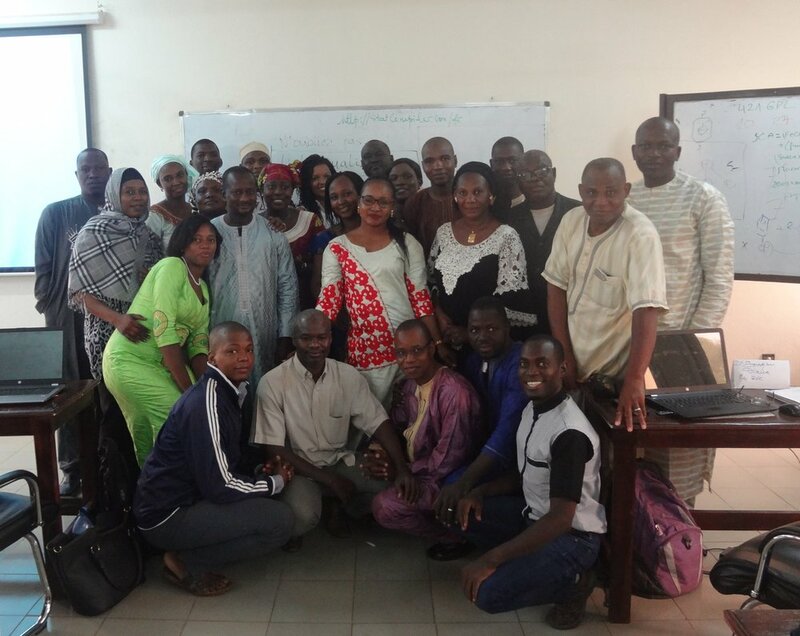 In 2017, the Université des Sciences, des Techniques et des Technologies de Bamako (University of Science, Techniques and Technologies of Bamako - USTTB) requested that a 5-day course on using the Lives Saved Tool be integrated into their second year Masters of Public Health curriculum for all three available specializations (nutrition, epidemiology and community health). The course was officially adopted as part of the curriculum on in January 2018, and the first iteration of the course took place from 18-22 June, 2018. LiST was used in Mali to evaluate the mortality targets set out in national plan within the context of a Global Affairs Canada (GAC)-funded National Evaluation Platform (NEP) initiative implemented by the Institute for International Programs of the Johns Hopkins Bloomberg School of Public Health (IIP-JHU) from 2014-2018. In-country home institutions were national public health research institutions, namely the Centre de Recherche et de Documentation pour la Survie de l’Enfant (CREDOS), the Institut National de la Recherche en Santé Publique (INRSP), the Institut National de la Statistique (INSTAT), the Direction National de la Santé within the Ministère de la Santé de et l’Hygiène Publique (DNS/MSHP), and the Cellule de Planification et de Statistique (CPS/SS-DS-PF). The findings from this first evaluation – namely that the mortality targets established in national strategic plans would not be reached – led to the recommendation by the steering committee that LiST be used to aid in setting more realistic national mortality targets. It also generated interest in using LiST as a strategic planning tool at the national level, and training regional staff to allow them to use LiST for evidence-based regional health planning. From June 18-22, 2018, 21 second-year MPH USTTB students took part in a training facilitated by IIP-JHU members as well as one Bamako-based NEP Technical Task Team member. All but one of the students are medical doctors who in most cases have already been practicing for a number of years either as medical professionals or in public health institutions. All three streams (nutrition, epidemiology, and community health) took part in the training. Students were trained on the technical considerations for using LiST, on nutrition in LiST, and on creating sub-national projections in LiST. Students then used the software to create projections and carry out a number of hands-on tasks. The overall objective of the training was for students to gain exposure to the tool and understand how to manipulate it, as well as how it could be useful for strategic planning in the future. 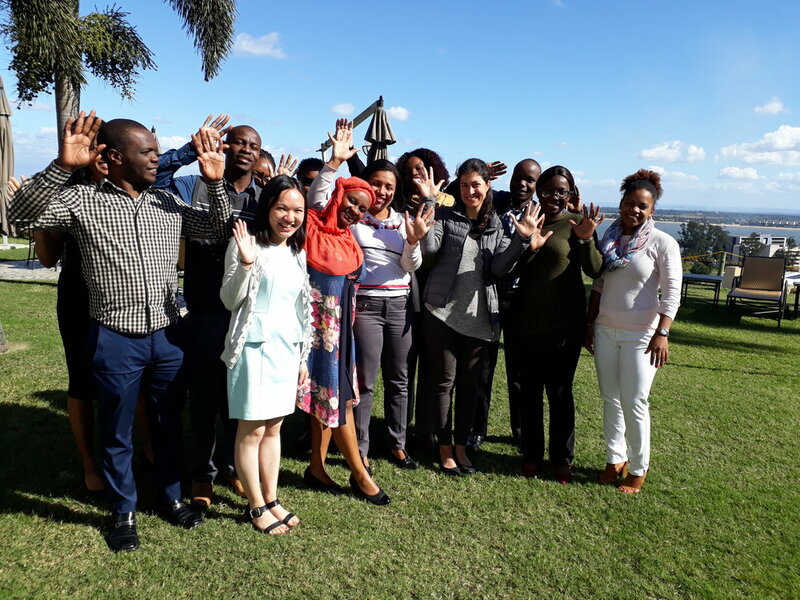 From 4-8 June 2018, two LiST team members travelled to Maputo, Mozambique to lead a training specifically on the potential applications of LiST for nutrition. Task team members of the Plataforma Nacional de Saude Maternal e das Crianças e Nutrição (PNSMCN - National Platform for Maternal and Child Health and Nutrition) of Mozambique’s National Health Observatory attended this training to re-familiarize themselves with the tool, and to look at ways that LiST can be used to analyze performance and plan strategically in Mozambique’s nutrition sector. Representatives from the Instituto Nacional de Saude (INS), UNICEF, the Secretariado Técnico de Segurança Alimentar e Nutricional (SETSAN), the Instituto Superior de Ciências de Saúde (ISCISA) and the Direcção Planificação e Cooperação (MISAU-DPC) actively participated in the 5-day workshop. LiST has been used in Mozambique in the context of the National Evaluation Platform, a Global Affairs Canada-funded initiative from 2014-2018 to equip government decision-makers with the tools and skills to critically evaluate the state of maternal, newborn, and child health and nutrition (MNCH&N) in their countries. Empowered with evidence, policy and program leaders could make strategic decisions that lead to maximum health and nutrition impact for women and children. LiST was used specifically to answer two questions: (1) What change has been seen in under-five and neonatal mortality since 1997 and to what interventions contributed to the decrease in under-five mortality? What interventions should be scaled up and invested in to further address child mortality? and (2) What interventions account for the reduction in maternal mortality to date and what interventions should be strengthened to produce further improvements in maternal lives saved? The team submitted a detailed report on the methodology and results to the platform’s High-Level Advisory Committee, and two publications accepted in the Journal of Global Health are forthcoming. Based on this experience, the NEP was used as the launching platform for the PNSMCN which is being implemented with funding support from the European Commission from 2017-2020. The purpose of this endeavor is to extend and strengthen the capacity of the PNSMCN to identify, analyze, and report on data related to nutrition policies and programs in Mozambique. This first technical workshop focused on using LiST as a tool to estimate the potential contribution of the health system towards achieving better nutrition outcomes. Over the course of the workshop, the team used LiST to estimate how Mozambique will perform with regards to global WHA nutrition targets as well as against their national nutrition targets expressed in the Plano De Acção Multissectorial Para A Redução Da Desnutrição Crónica Em Moçambique (PAMRDC – Multisectoral plan to reduce stunting in Mozambique) based on current and aspirational intervention coverage levels. Once finalized and approved, the resulting policy brief will be available on the INS – the PNSMCN’s lead implementing organization – website and serve as an evidence-based foundation for future nutrition programming in Mozambique. Two LiST team members traveled to London, UK to conduct a training at Save the Children UK from 1-2 October 2018. Members of the NGO’s Health; Humanitarian Nutrition; Humanitarian Health, Monitoring, Evaluation, Accountability and Learning; and Social and Behaviour Change and Community Capacity Strengthening teams participated in the training in order to familiarize themselves with LiST and to understand when it’s appropriate to use it. 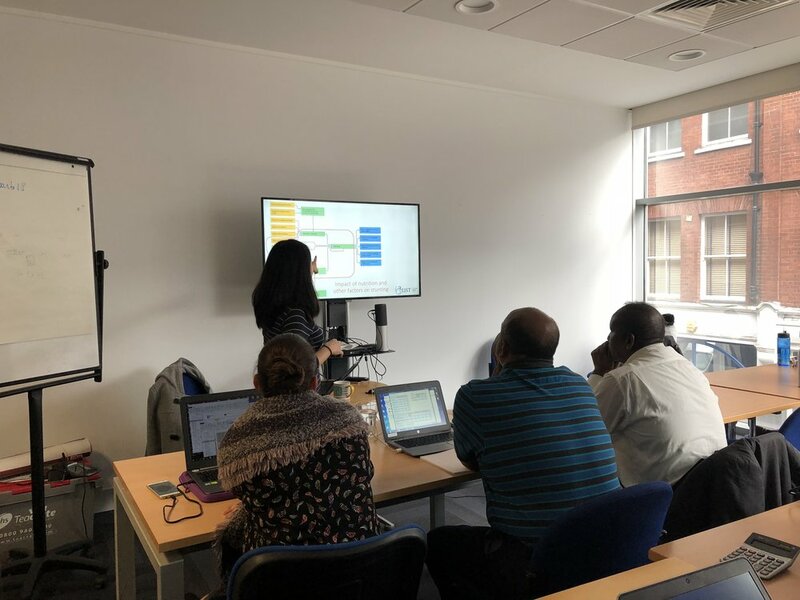 Over the course of two days, the Save UK team learned the methodology of LiST, did practice scenarios, and brainstormed ways in which they could utilizes LiST for their programming efforts. Technical areas included nutrition and subnational modeling. 29 March 2019 – The LiST team provided remote support for webinars given to various teams which are part of the Nutrition Information Platform for Nutrition (NIPN) project currently being implemented by Agropolis International. An initiative of the European Union, this project supports countries in strengthening their information systems for nutrition, with the ultimate objective to better inform the strategic decisions that country governments are faced with to prevent malnutrition and its consequences. Country teams are currently at different stages of establishing nutrition-related policy-relevant questions. The webinars were presented in French to French-speaking African country teams (Burkina Faso and Cote d’Ivoire), in English to the English-speaking country teams (Ethiopia, Kenya, Uganda), and in Spanish to the Spanish-speaking team (Guatemala). Co-lead by NIPN team members and a JHU faculty member, the webinars focused on the overarching concepts of LiST as a tool, and further focused on the nutrition components of the tool. After this brief introduction to the tool, teams will now be in a better position, with the GSF support evaluate whether or not this tool is appropriate for use to answer their policy questions to promote evidence-based decision-making in the nutrition sector. We wish the NIPN country teams and project the best of luck!